Tis the season for deals and today there's more to be thankful about if you love great sound and even better features. One of our favorite audio brands, JBL, is having a big discount on many of its speakers. This includes small and more significant discounts on long-time Bluetooth favorites like the Clip 2 ($30 off), Charge 3 (a neat $60 off), Flip 4 ($20 off), and Xtreme ($150 off, half-price), but also really cool discounts on the newly announced streaming speaker range. For those of you looking to get some smart Google Assistant speakers around your house, JBL has 3 you can look at. These work like a Google Home, with Assistant and Chromecast capabilities built-in. 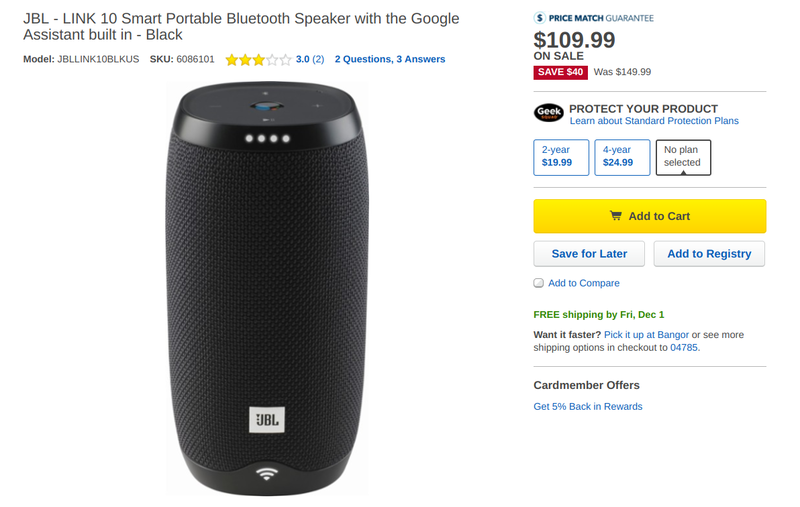 The small JBL Link 10 is $40 off and down to $110. The slightly larger Link 20 is $50 off and down to $150. And the big Link 300 is also $50 off and down to $200. Both the Link 10 and 20 have batteries so they can be taken off the wall plug and carried around the house conveniently. I have been testing the Link 20 in my kitchen and I really like its sound output and the fact that I can control music and set timers all while cooking or doing the dishes. I also got the Link 300 but I haven't had a lot of time with it to be able to issue any judgement. Oh and the new Boombox is also discounted, but it's only dropping $45 to $405. I guess that's better than nothing. Here are the links to as many retailers as we could find the deals at, along with original prices, discounts, and colors when necessary.